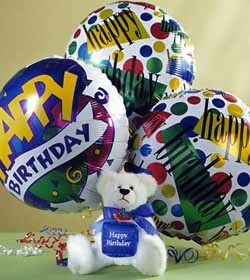 Description: If you would all like to say happy birthday together, than these are the balloons with teddy bear for you. From all your friends. Your gift will come with a greeting card.